Jaded Blossom: Write Your Own Story Notebook! 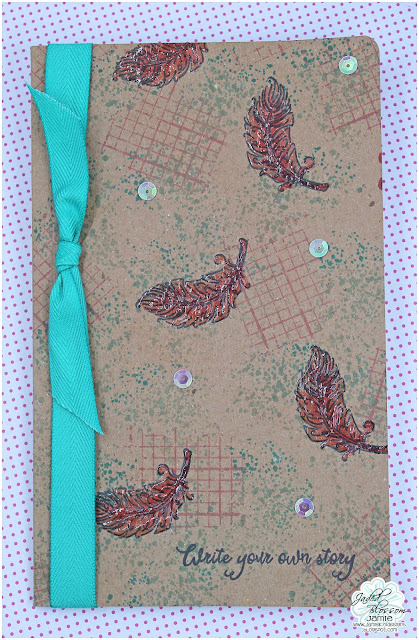 Jamie here and I created a cute notebook to share today! I used Paint Splatter 2 to create the background. Then added some feathers and a sentiment from the new Wild and Free set. I colored the feathers with some copic and added some clear dimensions on top. I finished it off with some ribbon and sequins.